Opened in 2014. Newly renovated in 2015. The Rui Jia Hotel provides a great place for travelers to relax after a busy day. 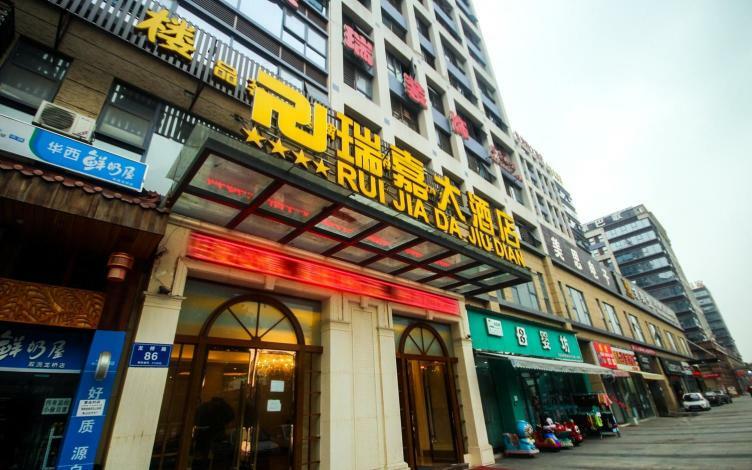 The Rui Jia Hotel offers a pleasant stay in Chengdu for those traveling for business or leisure. Boasting a convenient location, the hotel is just 5km from Shuangliu International Airport and 20km from Chengdu Railway Station. The closest major public transportation, Longqiao Road Metro Station, is only 1km away. Seeing Chengdu's sights from this hotel is easy with Cube Oceanarium, Russia Grand Circus and Chengdu Beer Culture Exhibition all close by. After a long day of sightseeing, guests can retire to the comfort of the hotel. Airport pickup can be arranged by the hotel upon request. Guests of this Chengdu hotel can make use of the parking facilities. If you demand a high level of service, our guests have indicated that this hotel has excellent standards. This hotel is particularly popular with those traveling on business. - 12 km to Downtown Chengdu.